It has been a slow burn for a while, but the latest incident in northern Israel resulting in the shoot-down of an Israeli F-16 tells us that the Rubicon may have been crossed and a war between Israel and Syria is soon to materialize. This is something the Russians surely want to avoid at all costs, but it is far from clear they can restrain either the Syrians or Iranians. 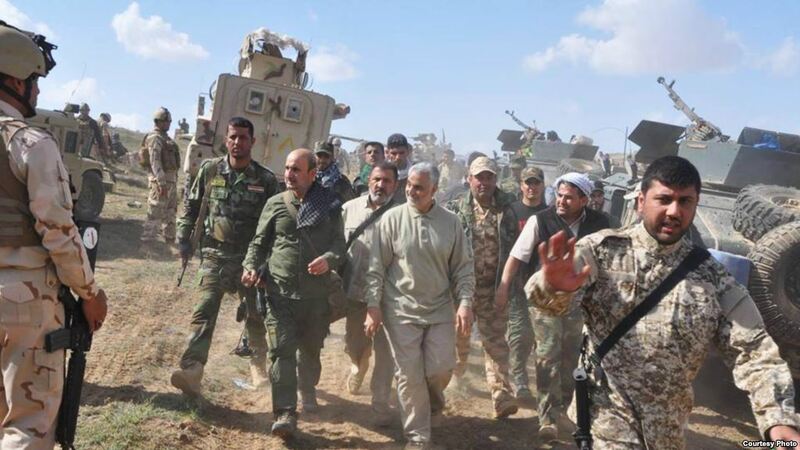 For all practical purposes, Syria is now under the control of Iran, through its Revolutionary Guard’s advisors, its mercenary-filled army supplied and paid for by Iran, its control over Hezbollah and its ability to call the shots in the area along the Israeli border. But the biggest of all developments is that Syrian air defense systems (provided by Russia) are now firing missiles into Israeli territory, challenging Israel’s control over its airspace. That’s what happened to the F-16 that was downed. It was hit inside Israeli airspace, and the pilots apparently had let their guard down and were not following evasive rules when the F-16 was hit. There isn’t any evidence the F-16 made any maneuvers to avoid an incoming missile or launched any countermeasures, as none were seen by observers on the ground. This likely means that their radar warning systems were either shut down or if on the pilots disregarded their alarms. We don’t know for sure, and it is highly unlikely the Israeli Air Force will ever say. One way to judge the situation is to look at the immediate aftermath. Two things happened, The first is that Israel went after Syrian air defense systems and destroyed a number of them. Again we don’t know how extensively, but we do know that the Syrians were not able to shoot down any of the attacking Israeli jets –a key lesson. The second development was phone calls from Israel’s Prime Minister, Benjamin (“Bibi”) Netanyahu to Secretary of State Rex Tillerson and to Russian President Vladimir Putin. The US immediately backed Israel’s retaliatory action. The Russians, at least officially and in public counseled moderation and a reduction of tensions. But this is far from good enough, and no one more than Putin knows this. His standing in Syria depends on two outside factors: Israeli tolerance and American forbearance. If a red line is crossed, and the firing of missiles into Israeli airspace is a red line then the possibility of a new front in Syria with a full-scale Israeli attack is a real possibility. The big losers in this will not only be the Iranians and the Syrian regime, but also the Russians who could stand to lose their air and naval base and find themselves humiliated. Clearly, the Iranians (with the help of the Syrian regime controlled by Iran) has created a significant political problem for the Russians. It isn’t clear the Russians can control the situation. What Israel really wants is for Iran and its various surrogates out of Syria. The Russians so far have not been in any position to demand this, if they were interested. 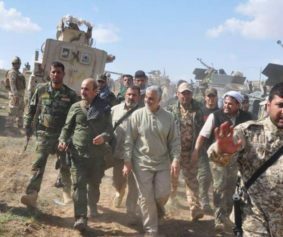 But they need the foreign fighters supplied by Iran and Hezbollah to buttress the lagging Syrian Army, which is very short of manpower and has poor morale. From Israel’s point of view, Russia’s presence in Syria is not a bad thing for two reasons. The first is that the Russians were destroying the worst of the Sunni Jihadists who also threaten Israel. A sort of modus vivendi had been established in the past with the Syrian regime, but it had some pretty bad wrinkles. One of them was Iran supplying Iranian, North Korean and Chinese missiles to Hezbollah using Syria as the conduit that directly threatens Israel. That is why Israel went after the depots where the equipment, being shipped in from Iran (some of it from North Korea and China) was positioned. Israel has launched numerous raids to destroy the inflow of missiles on the Syrian and Lebanese territory. 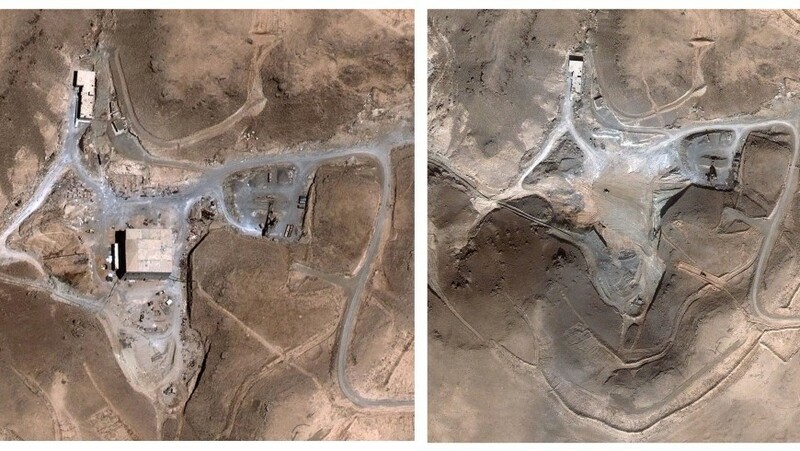 The second more serious matter was the attempt to build a major nuclear weapons reactor in Syria –a project sponsored by Iran with technology from North Korea. Israel destroyed the Youngbin-clone reactor which even the grudging UN and IAEA had to admit was what the Israelis said it was. This was an extremely dangerous gambit. 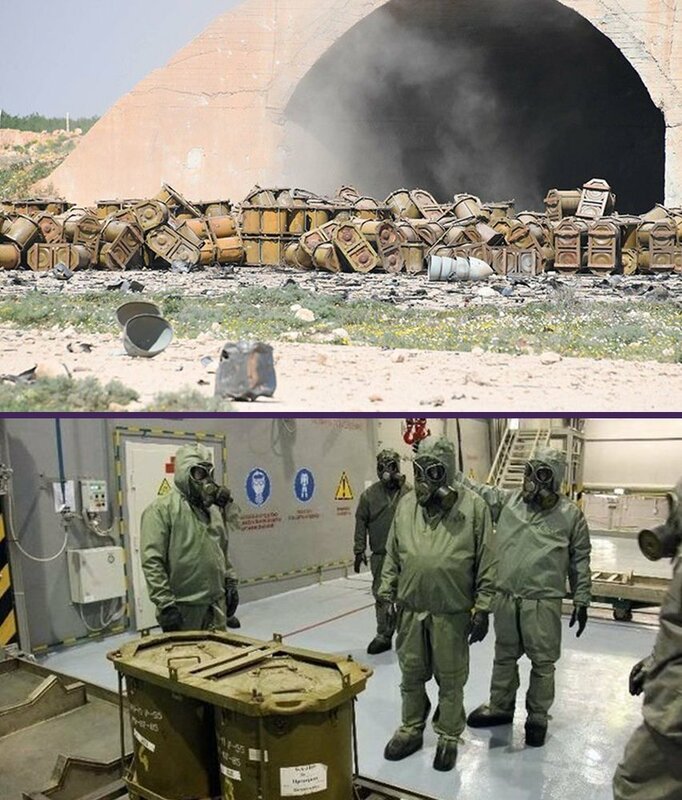 There also is little doubt that the Russians have been supporting Syria’s chemical weapons program, especially in providing binary storage systems for nerve gas. The Russians say they did not do it, and neither say the Syrians, but these arguments are Kafkaesque and defy all the evidence to the contrary. Thus the impotence of the Russians (or alternatively their extreme cynicism) is on display. But now the stakes are much higher since it is unlikely Israel will confine itself to raids in future. One wonders if Russian planners fully grasp the mess they have created for themselves. Certainly, Putin is smart enough to understand that not pulling the Iranians back from Israeli territory is a huge mistake, making Russian policy the prisoner of the ambitions of Iran’s Ayatollahs and the Revolutionary Guards. It remains to be seen if the Russians can change the game before the war starts.